This image reveals 18 tiny galaxies uncovered by the NASA/ESA Hubble Space Telescope. The puny galaxies, shown in the postage-stamp-sized images, existed 9 billion years ago and are brimming with star birth. The dwarf galaxies are typically a hundred times less massive than the Milky Way galaxy but are churning out stars at such a furious pace that their stellar population would double in just 10 million years. 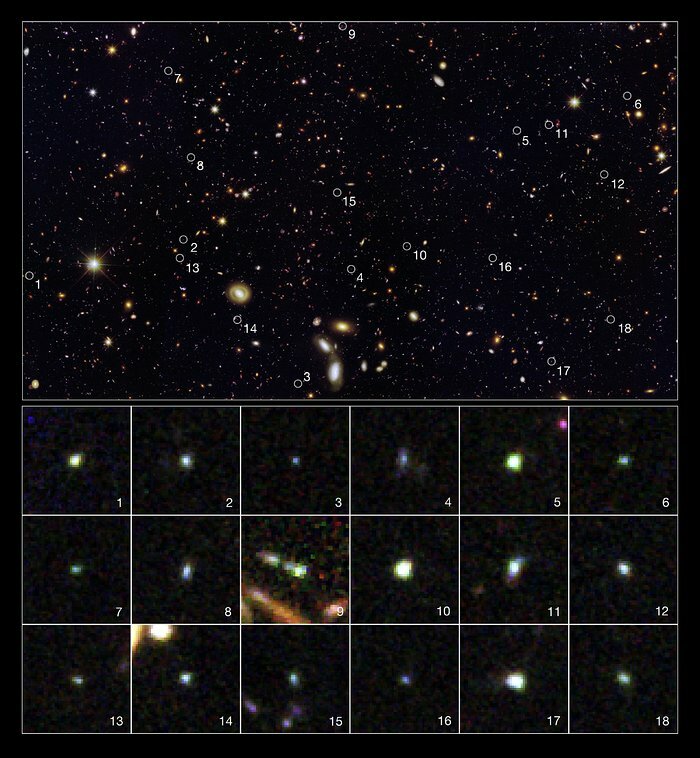 Hubble’s Wide Field Camera 3 and Advanced Camera for Surveys spied the galaxies in a field called the Great Observatories Origins Deep Survey (GOODS). The galaxies' locations in the GOODS field are marked in the large image. The galaxies are among 69 dwarf galaxies found in the GOODS and other fields. 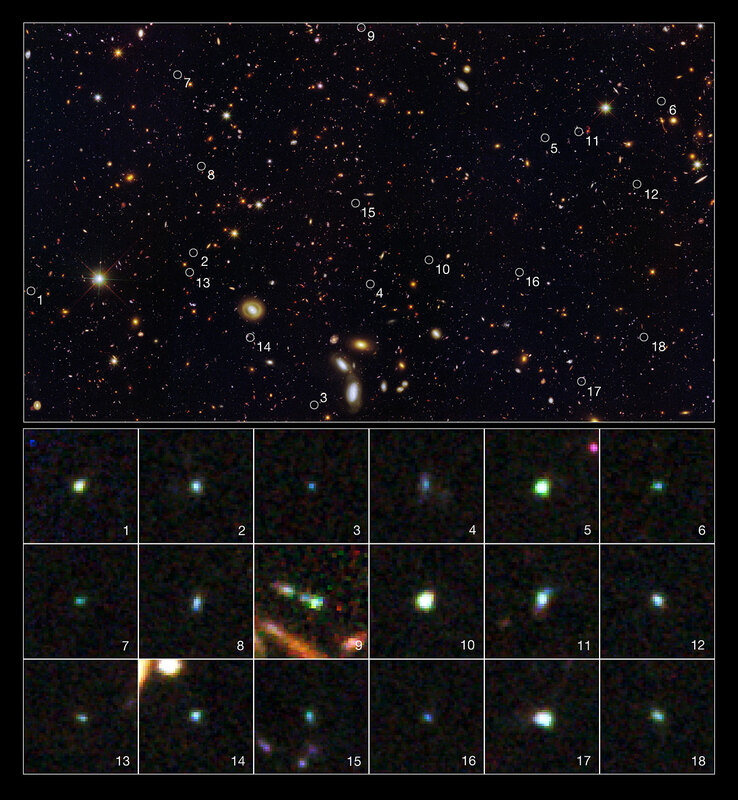 Images of the individual galaxies were taken November 2010 to January 2011. The large image showing the location of the galaxies was taken between September 2002 and December 2004, and between September 2009 and October 2009.